I have never been very good at approaching my reading systematically. I will pick up whatever the heck I want to read, whenever I want to (or am able to). Thus, a look at my to-be-read pile will reveal a mish-mash of genres, authors, and page counts. Some books are barely longer than 150 pages, others are well over 1000. Dante’s Divine Comedy is palling around with a bunch of Rex Stout’s Nero Wolfe novels, and my Paul Halter omnibus can be found next to a Latin edition of Winnie the Pooh. Sometimes, I pick up a book that is extremely long, and then it takes me a long time to finish it. Which means that the review takes a long time to go up. Hence the delay since my last review. 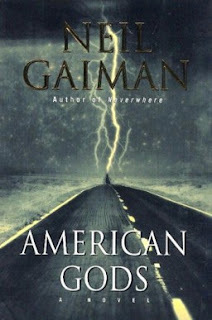 With this word of explanation, I’d like to begin talking about Neil Gaiman’s American Gods. But before I do, let me answer the objection: “This is a crime fiction blog! What on earth are you doing reviewing a fantasy novel?” My answer is this: I have no answer for you. 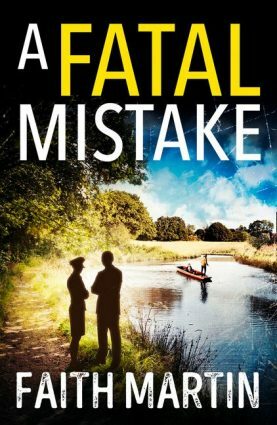 Technically, you could consider this a mystery novel – there is a mystery that is solved at a certain point in the novel – but I wouldn’t recommend approaching it as such. The reason I picked up this book is tangentially related to crime fiction – Bryan Fuller’s next project after the fantastic TV series Hannibal was a television adaptation of American Gods. I was intrigued by the description, and the book landed on my to-be-read pile. I felt like picking this book up a few weeks ago, so I did. And I’m very glad I did. American Gods is in many ways a bizarre book, telling the story of Shadow, a convicted prisoner who gets out early when his wife dies in a car crash. On his way back home, he encounters a mysterious stranger who goes by the name of Mr. Wednesday. Thus begins Shadow’s involvement in an epic war between gods, pitting “old gods” (e.g. Odin, Anansi) against their new rivals (who represent such things as modern media or the Internet). 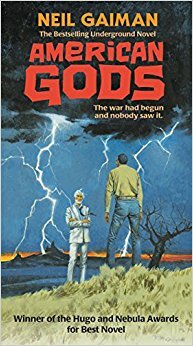 But the book is much more than a clash between deities, it is a fascinating attempt to depict America and its relationship with these deities. I truly dare not describe much more of the book in this way, because it would ruin a one-of-a-kind reading experience. Gaiman is an excellent writer, and he easily kept my interest going even when, objectively speaking, the story was quite slow. On a plot level, some of the story’s twists were easy to anticipate, but others manage to almost come out of the blue. There are many interjections throughout the narrative (including short “Coming to America” stories) that seem bizarre at first, and not all of them have an easy explanation, but they all feel like they belong in this story. As I read, I felt like I was reading something special, I was fascinated by every word. Indeed, the more I read, the more I slowed down my reading, eager to savour the experience of reading this book. Consequently, it took me a very long time to get through the 560 pages of this book – the edition which I read was an expanded 10th anniversary edition which used the author’s preferred text. I cannot compare this to the original edition which won all sorts of awards – including the Hugo and Nebula – but I can say unhesitatingly that this expanded version is well worth the money and time that I put into it. I just read this two months ago and enjoyed it. I look forwards to seeing the TV adaptation and reading the same-universe quasi-sequel "Ananzi Boys."